Crooked teeth are the modern adult’s nightmare. We talked last week about the importance of your smile, and it can be disheartening to stare in the mirror and see a smile that you’re not entirely happy with. But then, it can be tough to make a decision, especially if you’re worried by the idea of train-track braces. So if you’ve got crooked teeth, you might ask, what are the options available? We hear this a lot at AP Smilecare – many of our patients spend ages being unhappy with their smiles, but defer dental treatment out of self-consciousness. After all, train-track metal braces are traditionally associated with teenagers and younger patients, aren’t they? Well, sort of. But adult braces are becoming more and more common, and to be honest, there’s not nearly as much stigma against them as people seem to think there is. There haven’t been many scientific studies done on the issue, but all the evidence on dental forums – as well as from the mouths of our very own patients – indicates that lots of people don’t even notice others wearing braces, much less make any judgements about them. This is probably helped by the fact that lots of modern treatments like Invisalign and Incognito braces are specifically designed to be discreet, and are often only barely spotted by close friends and family. Self-confidence is the number one reason that many of our patients defer having dental treatment. The paradox is that obviously, putting off any kind of dental treatment isn’t fantastic for your teeth (or even your general health), and it can be embarrassing to have crooked teeth in the meantime. On the other hand, we understand that the treatment itself can be a scary option, especially if the idea of braces makes you feel equally embarrassed or self-conscious. So really, when you think about it, it comes down to this: would you rather have short-term self-consciousness when getting dental treatment, or long-term self-consciousness without it? Remember though, we’re not necessarily talking about classic train-track braces. We’re talking about specially engineered braces – like Invisalign – that not only fit comfortably into your mouth, but have actually been specifically designed to be as unnoticeable as possible. It’s a win-win; you can have the effective treatment you need to fix your smile, without having to worry about any major changes to your appearance in the meantime. Above all, don’t be afraid of getting treatment. Though we understand that sometimes outside factors can get in the way of booking treatment, don’t let it be fear alone that holds you back! It’s not like you’ll ever regret straightening your smile, whereas waiting too long can sometimes lead to further complications in your dental and oral health. 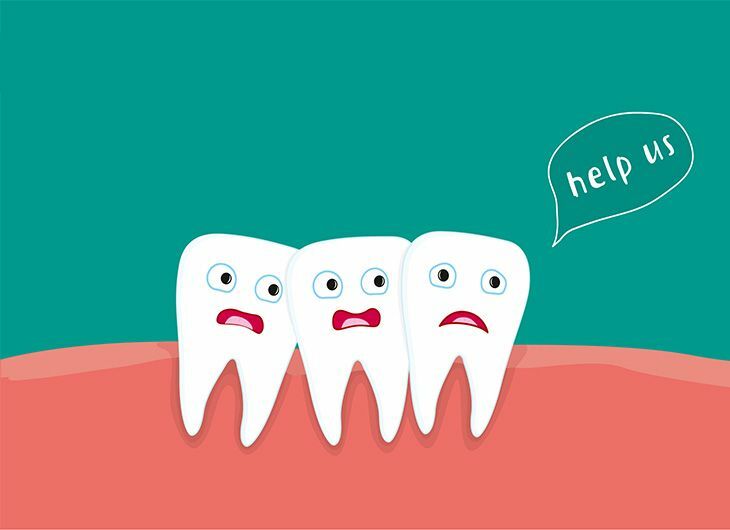 If you’re worried – just ask one of our dental professionals. At AP Smilecare, we pride ourselves on the level of patient care we give our patients. If you have any questions or concerns, one of our experts will be only too happy to put your mind at ease. What’s more, we can even help you get over dental phobias – just ask one of our professionals for more details. You can call us on 01254 297 000, email us on enquiries@apsmilecare.co.uk, or just pop into our dental clinic in Blackburn. We’re here to help!